It's here! 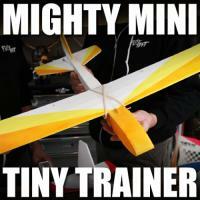 The FT Tiny Trainer is finally available and ready for flight. This step-by-step tutorial will show you everything you need to build your FT Tiny Trainer Speed Build Kit. The speed build kit is available in our online store and the the build plans are available for those of you who want to scratch build this versatile foamboard Mighty Mini. 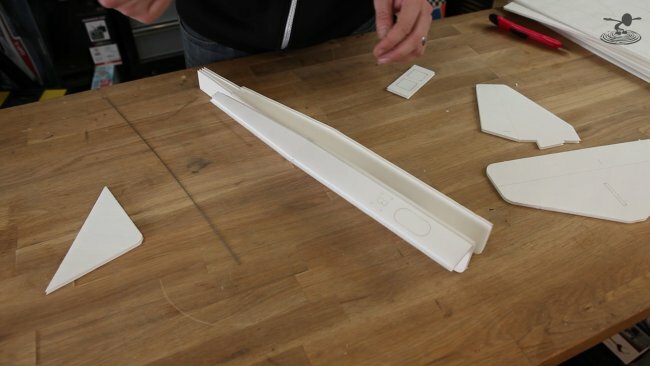 A solid plane starts with a solid fuselage. Always take your time and wait for the glue to dry completely before moving on. Be sure to have the push rods cross and go out to the control horns without binding along the way. Both noses feature doublers, to help reinforce and strengthen the plane for any situation. With this, a beginner should be able to take a few hits and continue flying, if they didn't break a prop of course. Be gentle when forming your wing. You shouldn't have to force it to much, and be patient with the glue. 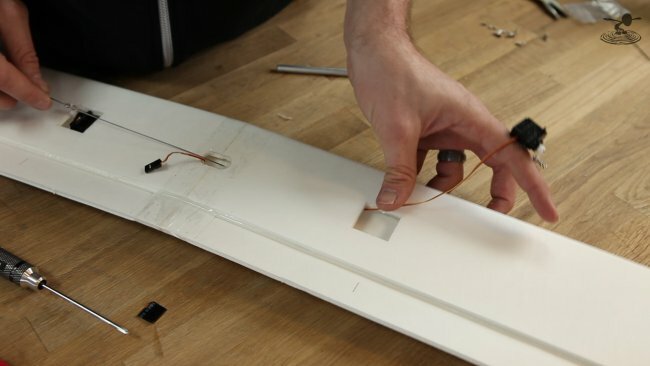 Use some spare wire to feed the servos through the wing after its closed up. You can create your own Z-Bends with a pair of Z-Bend Pliers: Available Here! With the plane nearly done, all thats left is strapping the wing down, and testing your controls. 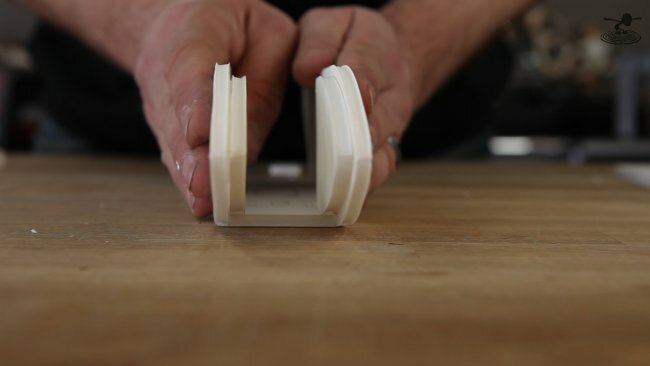 We can't wait to see how your FT Tiny Trainer build turns out! Be sure to share with photos, articles and comments! Thank you for all of your support and input with speed build kits like this! Let us know what you'd like to see as a speed build kit! The FT Tiny Trainer is part of our Mighty Minis Series and are powered with our Power Pack A (Minis) electronics setup available in our online store! New to the R/C hobby? Here's some resources to help get you up to speed! 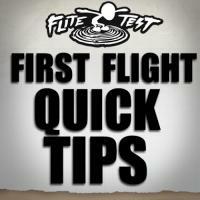 First Flight Quick Tips: WATCH HERE! Got glue?? Get Some Here! Learn more about the FT Tiny Trainer here: SPECS AND OTHER DETAILS! Awesome! I'm sure many have been patiently waiting for this plans! Thanks again for everything you guys do for the RC community. Wonderful new addition to the FT fleet. However, neither the Flite Test, nor the Lazertoyz or Altitude Hobbies Power Packs are in stock. What gives? Could you recommend HK alternates? just take some baby Beasts or the Emax 1806 2280kv they offer along with a 12 Amp ESC and some 5g servos. You can also have a look at Banggood for those Parts if they are out of Stock at Flite Test and HobbyKing. grayson hobbies has excellent motor/esc combo and complete flight packs for beginners. my favorite is the "disposable "foamie motor/ESC deal for $20.00!! I can fly all the minis with them. I am using Park 250 2200KV, 10A ESC, 800 2S, 5g servos and 7X4 props all from HobbyKing. Good luck finding props. Do you think you guys will offer this model in a standard power pod version? Could it be scaled up to accommodate the standard power pod? We haven't made the step to the mini hardware yet. Great plane, may force me to buy mini power plants! Great little plane.I'm going to attempt to make it into a mini bixler style plane. So watch this space. Great work, guys! Thanks for the wonderful toy for my kids. Good Luck, and Have Fun! :))) recived my Mustang today in UK! What's the wingspan on this? Love it! I think you are copying my design! The TUT-1, The Ultimate Trainer - 1! originally I wanted to build a Mini Scout and therefore got an Emax 1804 2480kV with TGS Sport 6x3E propellers @ 3S. Will it be OK for a 4Chan Tiny Trainer? It's a part of the mighty minis series, which can all run on the same motor(s), so you're good to go! Hedral = surfaced. Di = two. Poly = many. Thus dihedral = two-surfaced, polyhedral = many-surfaced. Two bends = three surfaces, therefore polyhedral is correct. It is also the correct term for wings with three or more bends, whereas 'polydihedral' is not. Great job! You have another winner. I like when you guys do a team build. I find it very entertaining. I know we can't always have the comedy styling of a pseudo celebrity like Josh Scott ;-) but one of the other Flite test guys or gals would be good. Has anyone had problems downloading these plans?? Today I printed out these plans. I found they were not all in numerical order. Ok no big deal. I began to put them in order 1-19. Page 15 didn't print..Tried to print page 15. Page 12 printed out. Tried several more times same to print page 15. I got #12.what the heck is going on. I scrolled through all the pages an found #15 was #18. So I printed out Page 18 an there ya have it Page 15..I really enjoy your builds keep it up. If I get the Power Pack A option for the Tiny Trainer, will there be soldering required to set it up? Pretty new at the building process and don't want to discourage my son (or me!). Thanks! The esc in that pack has a JST plug. This is a common plug for very small batteries, but make sure the batteries you buy have the right plug unless you want to solder a new one on. Other than that, everything should be plug-and-play. I have been building many of your designs over the last few months and having a blast flying them. Thank you so much for what you are doing, keep on the great work you are doing, you are truly awesome! As usual, you do a great job with these build videos. Good clarity on what you are doing and why. I love you guys and can't wait to come back to FliteFest! I'm already registered with my sons and got the camping pass too! I just completed the glider version of my tiny trainer scratch build and I am having a little trouble balancing it. As I am still waiting on my batteries I went out today just using it as a chuck glider. The total weight (with servos) is 270 grams. In order to balance it properly I had to put 90 grams of dead weight right in the nose increasing the weight to a total of 360 grams. Now the battery that I orderd weighs in at about 30 grams and the ESC another 10 grams which means that when I put them in the nose I would still be 50 grams short of balancing the plane. What is the wheight of your planes? Can any of you confirm the weight given in the build plans of about 200 grams without battery? How did you balance your planes? Any ideas of how I could properly balance my plane without increasing weigth drasticaly? I was thinking of building a longer version of the glider nose. Would that have a big impact on flying characteristics? I would be very greatful for any advice!!! You are pretty heavy. Mine has 9g servos and flag wire push rods (heavier than kit) and it weighs 202g without motor and battery. Built to spec should be just under 200g. Are you heavy on glue? You should be able to build the whole thing with less than 2 long sticks. can I use a "blue onder" motor with this plane? My son and I built two of the Tiny Trainers today. His was the speed build kit, I printed out the tiled plans and built the second one along with him. Maidened his today also. Handles winds high enough to make the flags stand out straight from the flagpole. It will almost hover when you nose it into the wind. We used the Turnigy Park 250 motors I already had from previous planes, and the Hobby King Blue series 12A ESC. in which size paper should I print the plan... plz help me with this. That's USA A4 which is slightly different size to rest of World standard A4. Best way is to use Full Plan and select Poster in print options, that will print as tiled on whatever paper you are using. I maidened my just completed Tiny Trainer today. I initially flew her with a 7.4 1000 mAh battery and a 5x3 prop. I thought she flew to slow. I changed to a 1250 mAh and a 6x4 prop. What a difference. She flew great. Another great job by the Flite Test guys. thanks. 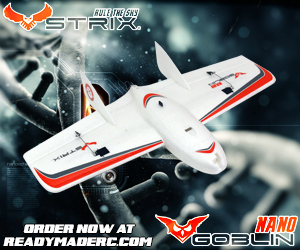 Oh and I'm recommending the Storch to all my friend that are interested in starting the hobby. I just think it's a great starter\trainer plane. I just love mine. What material is made the plane ( what appears white paper , the plane is all done it) ? It is often referred to as "Dollar Tree Foamboard" in the US. Outside the US it apparently is hard to get a hold of. I hear Europeans often do depron or corrugated plastic. Search the FliteTest articles for foamboard and you'll probably come up with some more generic building articles. Excellent job Flite Test crew!! I thank you for getting me back in the hobby after 20 years!! Flying today was like I remembered but even better! I maidened my tiny trainer today and it is AWESOME!! After a learning curve and crashing my FT Mini Speedster. That same day I crashed you released the tiny trainer and that night I began building the tiny trainer which got me flying today through 4 full batteries. Very forgiving and fun plane even with 3 channels and poly wing. High rates recommended for windy conditions. 12 minute flight with 37% charge remaining. I cant wait to buy a 1000 mah. I tried to fit my 1300 mah 3s but it wont work. What is a radio that you recommend for whom this is the first aircraft, a radio that come with the receiver, a cheap radio to start? You may get many opinions and here are mine. - try and visit your closes RC Flying club and speak to flyers there. If you have never flown before you may want to consider having help not only to save you frustration but also to guide you on safety. - I use the FrSky Taranis which is not cheap but once purchased it may be the only one you ever purchase so in the long run cheaper. FlySky FS-T6 is very value packed for under $60. It is programmable for 20 models, has mixing, elevons, etc. You can get additional receivers for $5 (3 channel - Hobby King "GT-2 2.4Ghz Receiver 3Ch") to $10 (6 channel - Hobby King "HK6DF 6 Channel 2.4ghz"). Could you guys also post Depron plans? 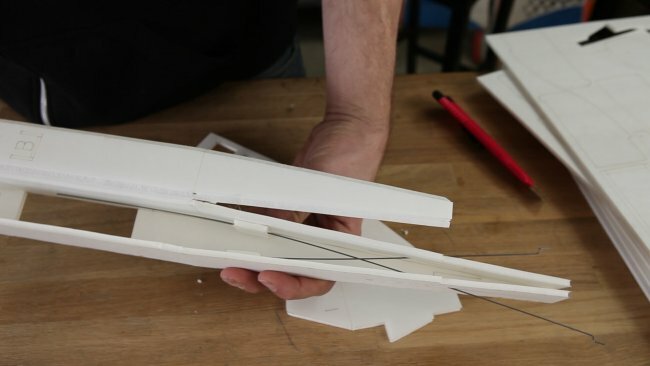 sometimes it can be a hassle to modify the plans and with your newer swappables there are so many different techniques and it can be hard to know what to do without warping a fuselage or something similar. Where you need paper you could simply use some packing tape. any news about the "FT Foam" ???? hi,can my power fit this ? The battery and motor looks a bit big. I'd print out the sections of the plans that includes the firewall and see if the motor mount will completely fit on it. It may all work, but CG could be a challenge. If you land on tall grass, 1800 mah 3s works fine, rubber bands to hold it on and velcro to keep it from moving around. Hard surface would ruin your battery. Big motor, trial and trial. You can fly a brick if you get the "CG" right and keep it together. That's what makes it fun. Great design! We are building 4 from plans for a high school physics class. They are almost ready to fly. I am also working on a125% version. The tiled plans just fit on 11 X 17 if enlarged 125%. Modifications are required of course due to the foam thickness but so far everything is working out. Hi guys, just finished building the plane. I used the Power Pack A and upgraded to the 3 cell 800 MAH. It is extremely nose heavy. Even when I pull the battery all the way back under the power pod. What am I doing wrong, any ideas?? To be a little more specific, when I move the battery as back as I can that the velcro still would hold it, my CG is right at the leading edge of the wing. Just about 1.5 inches in front of the designated CG point. The way Josh catches the planes out of the air is awesome. I think it would be too wide to fit inside the plane. If you worked at with Velcro and rubber bands, you might be able to hang one under the belly, but the plane would be heavy. Thought I would be smart and cut two tiny trainer and save one as a pattern.It worked, but took me twice as long I think. After reviewing the build video five times I finally got it that you can use a smaller or larger servo than the listed 5 gram servo that is practically impossible to find.Thanks for getting me back into flying planes.I also have the Aprentice by Eflite and love it. A 20" x 30" sheet weighs 108 grams. Big Smile to all you fun people. I've built 22 of your planes and has bin a great learning experience. 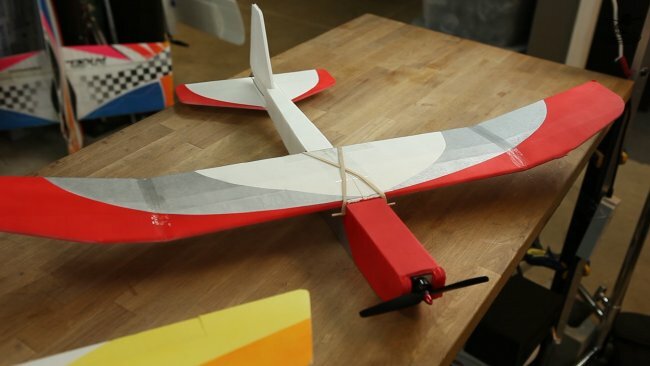 Question on tiny trainer, then you rubber band the wing on, it warps the wing, should-en there be a notch for the wing to fit in? I haven't noticed any warping, and the wing works fine without a notch. On sport wing, at V in wing , it hits in rear, I notched fuselage where rear of wing hits, fine now. don't why it didn't fit . Flat wing of coarse was OK.
Good job flite test!!! I built mine in 1 and a 1/4 sheets of foam, but only built the trainer wing and power nose. Its a great plane for caching the thermals. I'm flying with 2 9gram servos, and a old hi tech receiver, and a 5x3 prop, no prob.I noted that some of the commenters where having a hard time finding props, Just go on amazon and look there. 8.00$ for a 10 pack of green or black, worked great for me. Cool. I was wondering how many pieces of foam board this would take up. I'm going to start w/o ailerons as well. Replying to, HawkInTheSky. This is my method;print plans, cut on dashed lines, tile plans together with scotch tape lining each piece up with the other , cut out each part of the plans, tape on foamboard,always cut inside cuts first,then outside cuts and your done! I maidened my Tiny Trainer this morning. What a great design! Easy to fly, forgiving, and lots of fun. I had to tape a couple of quarters to the end of the tail to get it to balance with the 72-gram 3-cell 850 mAh batteries that I use in my T-Rex 250. I very quickly went from 66% throttle travel to full throttle travel and low throws to full throws. I'm a complete noob flying planes but an experienced heli guy, so I'm picking it up pretty fast. Tonight I'm building the advance wing, and next week I think I'm going to build the glider wing. It would be fun to build the Bixler version too. Really fun design guys. Great job. After yesterday's great success with the basic wing, today I flew the sport (4-channel) wing. There was about a 5 to 8 mph wind, which is a lot for my experience level and a plane this light, but it flew great! What a fun airplane! I experimented with an APC 6x4e prop that uses 20% more power. It's more rigid and doesn't resonate (howl/whine) at full throttle. What was the total weight of your model with battery and all other stuff? I just taped all the tiled plans together and got an idea of how the build will go and what parts are what. I am going to start with the power nose and the glider wing. I like how you guys keep re-using similar processes - I work as a software engineer and love repeatable processes. I built the Storch wing but stopped b/c it it just too big for what I want to fly right now. As others have noticed the Tiny trainer is very similar to the Storch. My niece and nephew are also coming for a few weeks so I am going to build some chuck flyers with them. I just scratch built this plane and handed it to 8 nieces and nephews, they had a great time with it. three days later after being out side , in the am dew and it still flies. very durable , these children range from 12 to 3 yrs old's, flies great! it took a beating from the kids trying to see who could get the longest flight. Added 3oz of weight to the body and got longer flight. balance the plane before flight. Just a heads up to anyone building from plans. Plans are printed like balsa models, where you build and cut on top of the plans. If you tape the printed plans to a board as a guide, the red score lines should be on the "bottom" of the board you are cutting. Scoring your lines through your template sheet builds the mirror image of what is shown in the build video. Only really matters on assymetrical parts, like fuselage and elevator. Maybe I missed this in one of the videos. I scratch build from tiled plans which I 'stick' to the foam with just a whiff of spray glue. After scoring and cutting i peel the plans off. You're right some of it gets mirrored. In my case the little cut-out for the control horn of the rudder ended up on the wrong side of the fuselage. As well as the position marks for the control horns for both rudder and elevator were reversed. The cg was way ahead and i had to put way too weight on the back to compensate... but it flew anyways... and it crashed too... but that was due to my persistence to fly it without low rates! It was fun tough! i'm back to the work bench and will use the wing and the tail to maybe do a frankenplane! I've scratch build mine FT trainer out of depron foam covered with tape and I have a problem. I'm using the glider nose together with the rudder and elevator controls and no matter what I do my plane refuses to fly straight (always turning to the right). Only with my rudder stick fully to the left flies straight. As far as I can tell every surface is straight and level. Please help me, all tips are welcome. Im a TOTAL beginner. I did watch a ton of FT- video's and (scratch) build even a few (3) planes. But when I put this puppy in the air I had zero minutes airtime under my belt. From all the video's I watched I learned that everyone crashes, so I wasn't put off by that. I didn't have anyone to film my maiden flight but for a Very First Timer I was happy with the result. The plane flew fairly well, considering I scratchbuild it from tiled plans. The crashes, mainly caused by my inexperience cost me 2 propellors and did some damage to the plane. There are a few things I can say about this experience. The Trainer is the perfect plane to begin with If you have no experience whatsoever. I did build both wings (glider and aileron) but I started with the gliderwing and will stick to those 3 channels (throttle, rudder and elevator) for now untill I have more experience and break less (none) props. As far as the design/build is concerned I recommend a few reinforcements. they didnt prevent the foamboard from ripping at the attachment points (BBQ sqewers). Upon carefull examination of the entire airplane these are the mayor points I need to reinforce. Ill be using old creditcards for that. 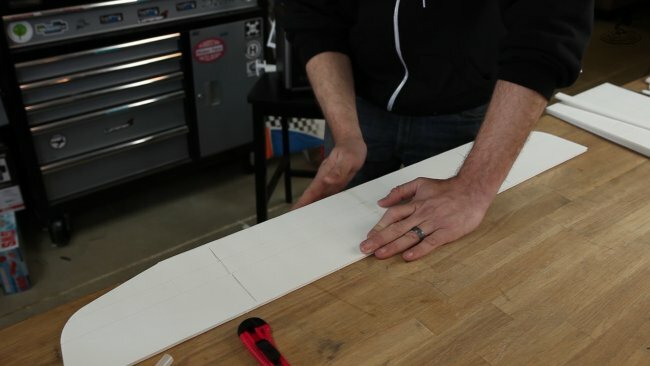 Also, even though the FT team shows this in other build video's but not in this one, Ill be covering ALL the exposed foam (edges) with glue or tape, avoiding the paper to come off the foam board. Since this is a STEP-BY-STEP beginners plane, removable landing gear would be the next logical step. Idea's anyone? Does this need to have thrust angle like the other mighty minis? The build video does say you build it with the thrust angle. I am currently building this plane. I cannot find anywhere what size pushrods to use. I have some 1mm (.040 inch) piano wire but it is very flexible in this long of a length. Should I get thicker wire? Hi Carwashmec. I recently scratch built this plane and used 1.2mm (.047") piano wire and it's been flying great. As long as you use the coffee stirrer/foam block recommended, you should have no problems. How long are the pushrods? Hello everyone this Zaid your newly member from India. 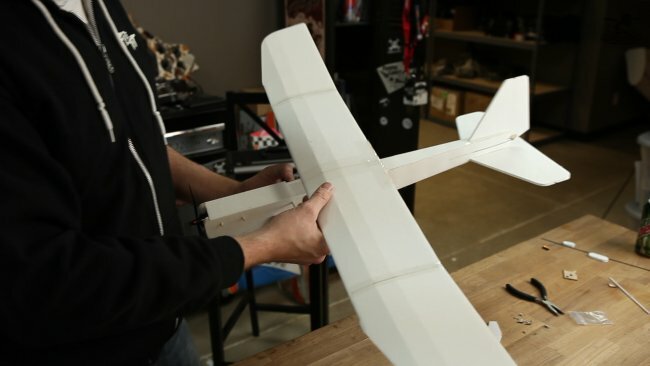 I have dream to build myself even if it's the simple trainer model I saw the structural pdf for the plane but I don't know to even to put layout on simple foam.It would helpful provide some information on it. Like for example the foam as in India find dollar tree foam is hard. Flying high is my dream..
Hi Zaid. I download the full scale plans and take the pdf to a printing store than can print the line drawings to scale. This model had to be printed on two 4' x 3' paper sheets. I had them print two copies so I would be able to cut one set and keep the second set in tact. I cut out the outlines of each piece the glued the paper to poster paper/card stock to use as a template. I then traced the outline of the pieces onto the foam board. Make notations on the templates so you can mark score lines and other markings. If you are using 9gr servos, make sure you offset them from each other. They will be a tight fit. This is my 4th build and it was the most fun. 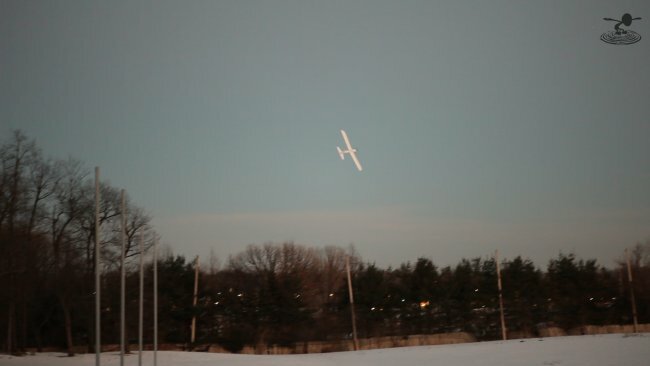 It glides amazingly well and can even do some aerobatics. Love it! Maidened mine today. Made in Australia with our heavier/denser foamboard. Powered (spare 250 size quad motor), 3 channel, 500mah 3S battery. It was too windy, but I flew anyway. It flew great, but the wind was a problem. Not sure how windy, but I could 'hover' by pointing into the wind at about 50% throttle. Wind cause a couple of crashes, and I had one graceful landing. Damaged powerpod, which I didn't reinforce with tape. Easy enough to make a new one of those. Tiny trainer is done ready for servos.I already built the stout wing trainer but since I'm a newbe I decided to build the tiny trainer to start with a 3 channel then move to a four channel and then I eventually start flying the Stout.I used yard marker flags from Home Depot for the servo push rod.Unfortunately here in Orrville Oh. we don't have a hobby shop close by so the flags were available. do you think i could run an MT2204-2300kv? On props. I ordered gemfan 6030 props, nylon glass fiber. I figured they might do better in belly landings rather than the standard props. I also have a bunch of 5030s for my quad that I might try. Of course, these come in CW/CCW sets. What I was wondering is: why not use both CW/CCW, but just change the motor connections when ready to switch rotations? I was planning to solder the motor to the ESC, but perhaps I will leave the bullet connectors on. The other consideration is that I bought power pack A which came with a blheli firmware. Can I reverse the ESC by re-programming it? Something to think about. The motor pod is designed with a thrust angle. If you want to reverse the motor direction, you probably want to trim the front of the motor pod square. I ended up using APC style props which work very well. How many and wich ones I need to build it? Scratch built one of these to have something to putt around with and love the way it floats around..Only thing is i have broke several props on landings is there any way to stop breaking them? The esc i am using has no motor brake so the motor free spins with the throttle off..
A lot of people switched to 6x4 APC style props. They are much stronger. I've never actually broken one. Hi, I want to know if I can use the sport wing as a 3CH config first to learn and then add the servos and flying with full 4CH. It is to save material. I wouldn't the dihedral is really helpful, if you are using a 3CH on a sports wing, the plane has near to no self-levelling tendencies. Go with the trainer wing to learn out, or just jump straight into the 4CH sports wing. Hey guys, I've built this plane using cardboard. Yesterday i maidened it. After about 30 seconds airtime the wing broke in the middle. If you're trying to use cardboard, don't use a bit of tape and bit of hotglue on the wing joint. I've rebuilt the wings and the nose, since it got damaged too. The wings are now connected using a piece of wood cut in the shape of the wing. I then drilled 4 holes with a 2.5° angle into the sides in order to add barbecue sticks which also support the wings. The wings are then connected to the wood using superglue on the sticks and hotglue on the joint. Just come in from its maiden voyage with the sport wing and ailerons - boy does this design flatter newbie pilots! Mini arrow plans printed off and waiting for a free moment to get cutting and gluing! Thanks once again - keep up this great work! hi guys, could I make DIY power from 18650 pack for rc aircraft..? thnkss. 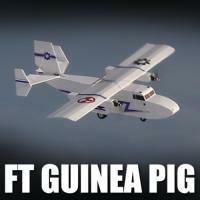 The best little plane in existence! Man, it can take a beating, even after making many quite major mistakes in the build process, it still flies great. This plane has successfully managed to get me into the hobby, there will certainly be more scratch build planes to come in the future. Thank you for all the work you put into this hobby! I'm just waiting for the next calm day to take her up with a six-meter ribbon attached! I'm very excited. I highly recommend this plane, plenty of power, easy to fix and a great plane to learn on. I was exploring the option of printing the full-size plans for the Tiny Trainer on the 24" plotter we have at work. Unfortunately, the full plans are 34.38 x 28.66 in. instead of your standard 30 x 24 in. Is there an update in the works? I see some of the other plans on the site, such as the mini sparrow, are at version 1.1 and have a lot of new formatting to make it easier to match parts, identify bevel cuts, etc.